Find hotel near Military Memorial Of The ..
A War Memorial preserving the remains of Italian soldiers and guards who died in the two World Wars. Some of the remains have originated from overseas war cemeteries. 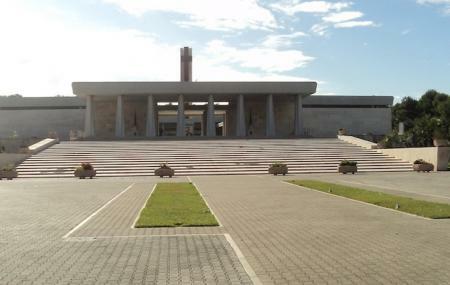 Situated on the outskirts of Bari on the road to Brindisi, the memorial houses the remains of almost 70,000 Italian soldiers fallen on foreign territory. One could sit for the Holy Mass that is held in honour of the dead soldiers. Love this? Explore the entire list of places to visit in Bari before you plan your trip. Fancy a good night's sleep after a tiring day? Check out where to stay in Bari and book an accommodation of your choice. How popular is Military Memorial Of The 'fallen Overseas' Bari? People normally club together Warner Village and Che Gusto C'e while planning their visit to Military Memorial Of The 'fallen Overseas' Bari.